What was new on STAR Site? Russian Ministry of Foreign Affairs stated that Russia made a decision to exempt foreign participants of assistance programs under Multilateral Nuclear Environmental Program in the Russian Federation (MNEPR) from value added tax (VAT) and other levies, which allowed to agree ad referendum the main text of the Draft Agreement (Russian MFA Press Release on the Results of Negotiations on the Draft Agreement on the Multilateral Nuclear Environmental Program in Russia, March 22, 2003). 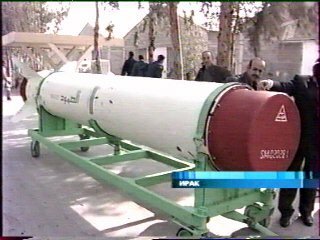 Expert of Bellona comments recent visit by IAEA chief Dr. Mohamed ElBaradei to Iranian uranium enrichment site near the city of Natanz: IAEA Says Iranian 'Pilot' Uranium Enrichment Plant Almost Complete, (by Charles Digges, Bellona, March 19, 2003). Russian media comment on the new draft bill on ratification of the SOR Treaty recently sent to the State Duma by president Putin. Vote on the bill is scheduled for March 21, 2003. Russian President Vladimir Putin sent the new draft bill on ratification of the Strategic Offensive Reductions Treaty to the State Duma. The draft bill was prepared by a special work group created in Russian parliament. For further details see exclusive article by Pyotr Romashkin, a defense and security expert with "Yabloko" faction in the State Duma: New Draft Bill on Ratification of the SOR Treaty, - in Russian, (March 12, 2003). The US unanimously approved the US-Russian Strategic Offensive Reductions Treaty last week. The Senate defeated two amendments to the treaty ratification resolution. One would have required Senate approval before the United States could withdraw from the treaty. The second amendment would have required annual intelligence reports on treaty compliance. Interview of Russian Minister of Foreign Affairs Igor Ivanov with the Newspaper Kommersant, published on March 5, 2003, under the Heading "Democratic Values Should Not Be Imposed by Force"
March 10, International Conference on Security of Radioactive Sources began in Vienna, Austria. The conference is organized by the IAEA, co-sponsored by Russian and US governments. More than 600 experts from 110 countries and relevant international organizations took part in the conference. At the Russian STAR Bulletin Board: arms control chronology and other topics. "...Establishment of Russia-NATO council was a significant spur to cooperation between Russia and NATO in theater missile defenses...Main goal of cooperation in theater missile defenses within the framework of Russia-NATO council is to analyze and estimate possible levels of compatibility of corresponding theater missile defense systems of Russia and NATO, and to study possibility of activation of practical cooperation, including joint training and exercises...": Strategic Threat to Russian and NATO, in Russian, (by Robert Gregory Bell, Krasnaya Zvezda, February 27, 2003); author is NATO Assistant Secretary General for Defence Support. See also: Russian Proposals on Missile Defenses for Europe (in Russian).